Partially hulled whole wheat kernels that are soaked, then steamed (hence precooked if you will), dried and then crushed are called bulgur. It requires no or little cooking. Though modern processes involve oven drying or roasting some villages still sun dry bulgur on their rooftops. Raw whole wheat berries that are crushed to varying qualities of texture are called cracked wheat and require cooking. These are also found in 3 grades of coarseness: fine, medium and coarse, the choice of which depends on use and preference. To simplify it even more bulgur is wheat cracked after cooking and drying, whereas the wheat is cracked in raw stage for cracked wheat. This depends on whether the recipe requires cooking or not and your own degree of purism. 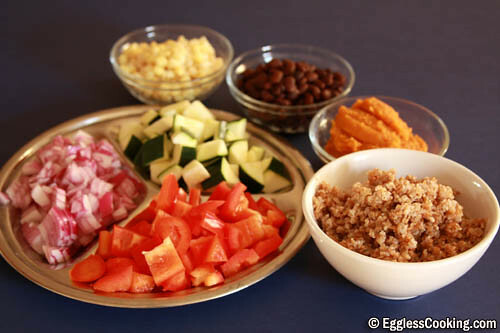 A salad recipe such as tabooli is uncooked, and so requires true bulghur as do recipes where bulghur is brought to the boil, cooked for a moment then left to rest off heat to swell as in a pilaf. Recipes requiring longer cooking times or coarse grain bulghur can be replaced with cracked wheat, but will need more cooking time. But both bulgur and cracked wheat are excellent sources of fiber, minerals and vitamins for your diet. Moving on to the recipe, I have scaled down the measurements given in the original recipe; still we had a lot of chili. I made it for dinner and it was very filling. Put 3 cups of the water and bulgur in a medium microwave-safe bowl. Cover and microwave on high until bulgur is tender, about 13 minutes. Meanwhile, heat oil in a large nonstick skillet. Add onion and pepper; saute 5 minutes. Add chili powder, garlic and cumin; saute until fragrant. 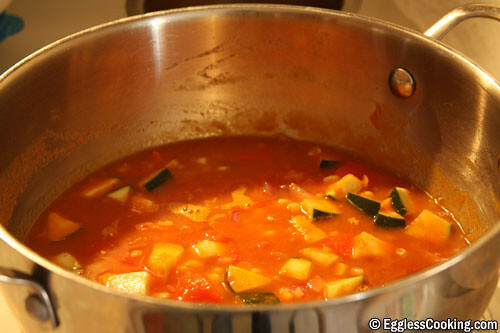 Add remaining 2 cups water, the tomatoes, pumpkin, zucchini and corn; bring to a boil over medium-high heat. 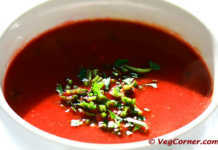 Reduce heat and simmer 10 minutes, stirring occasionally, until vegetables are tender. Stir in beans and bulgur; heat through. My husband loved the chili. The only thing I didn’t like was the flavor of the red pepper. I will be trying it without the red pepper next time. I am making this again this year. It’s part of my annual Thanksgiving menu. Thank you for your wonderful recipes!! I’ll try to cook this one! My Husband love chillies so much and I envy Charu ‘coz she can cook. But then thanks to you Madhuram, for your step by step procedure of cooking. Thanks for the recipe and watching out for your Chilli kind of recipes. Just discovered your website and it rocks! 🙂 Made this chili for dinner. Hope my husband likes it as much as I do. Charu welcome to my blog. Actually in my place my husband liked it more than me. A friend shared this with me a while back and it is now one of my favorite vegetarian meals. 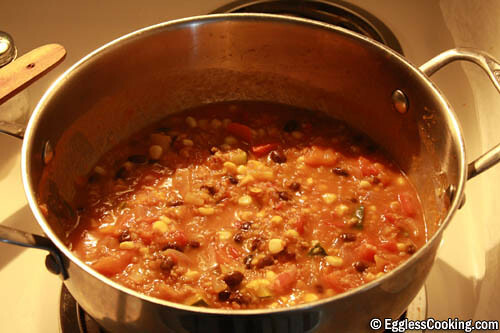 We love soup and this sure easy chili recipe. But I think, I will use Barley instead of bulgur wheat (just cos I have it at home 🙂 ). Looks yummy. 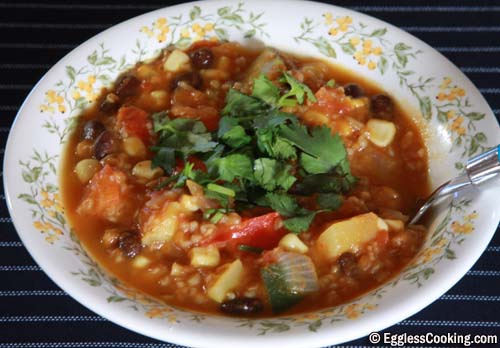 There’s also a very nice recipe for chili with bulgur in the Moosewood Cookbook. Nice one Madhu. I must try to get Bulgur and try this out sometime. It seems nutritious and gets cooked fast too. 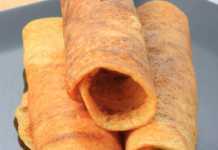 Lovely and delicious recipe, Madhuram. I love bulgur and you can be sure I will try it your way! Just came across your blog. I liked this recipe. Great way to incorporate grain and veggies. The recipe looks tasty and healthy too…. A lovely, delicious and wholesome dish Madhuram!! madhu..thats one lovely dish..even I don’t like red pepper much…can replace that! One of my favourite salad dish is Tabbouleh, and when I decided to prepare it at home,.. I had to hunt down for bulgur, which is one of primary ingredients. Never even knew of it before that. Ha! Ha! great dish! !it looks so nice. WOW!…. Chili looks so good. Nice color. Loved it so much. Great pictures. YUM! 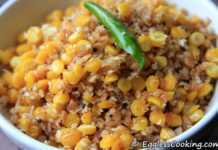 Bulgur Wheat makes it healthy too…. Hey Madhu..Chilli looks great, awesome entry dear!!! the chili looks delicous, the veggie way! Yummy pics too. hey..that looks really good. Interesting twist with the addition of bulgur. This recipe really rocks. Bookmarked again!